Southern California resort living at it's finest. This 3 bedroom 2.5 bath home is located in the equestrian area of the resort community of Silver Lakes. 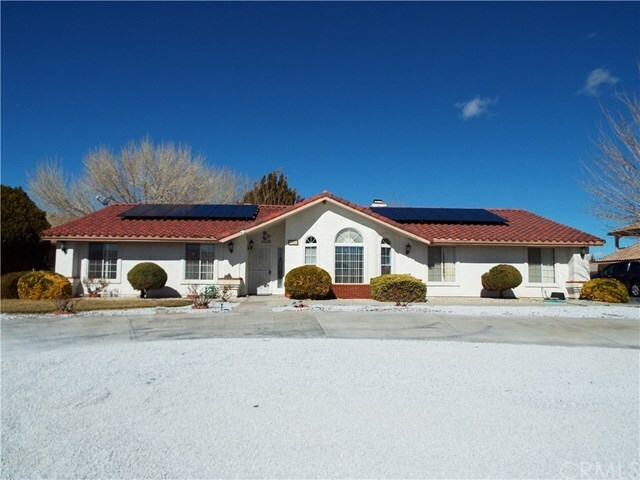 This home sits on a sprawling half acre lot with plenty of room for toys and RV parking. Equipped with a 24 panel state of the art solar system, worrying about high electric bills are a thing of the past. the system is fully paid for no liens, contracts or HERO programs to worry about here. This system was installed in March 2017 so you get to enjoy years of solar benefits under full warranty protection. Now lets talk amenities, there are too many to list so here are the highlights. As a property owner in Silver Lakes you enjoy full access to the 27 hole tournament golf course including the club house and pro shop. Two lakes where you can enjoy boating, fishing and swimming. Two beaches for soaking in the sun, barbeques and picnics. Property owners also enjoy an RV park with full hookups and gated RV and boat storage. You have got to come see it for yourself before someone else decides to make it theirs.